We think of walking holidays in the Cotswolds as only suitable for physically and mentally fit adults, which is untrue. Well, of course, participants in these walking holidays must possess a certain level of physical and mental health but everybody from young children to senior citizens can enjoy the benefits of such out-of-the-box holidays. The trick is in choosing the best walking holiday package that balances two important aspects for their enjoyment. On one hand, you want a walking holiday suitable for your level of fitness while also addressing your particular interests in the Cotswolds. On the other hand, you want a walking holiday that challenges your mind and body while also giving you plenty of opportunities to learn something new, meet new people, and explore new places. Furthermore, you also want to make sure that the walking holiday you are on provides for every essential need on your trip. We are talking about booked accommodations, comprehensive information packs, door-to-door transfers and even emergency support. Basically, you are entrusting the nitty-gritty details of your travel plans to the service provider. 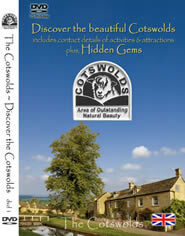 You have two main choices in walking holidays in the Cotswolds. First, the self-guided tours include accommodation, luggage movement and comprehensive route notes and maps. You are on your own although you are provided with plenty of opportunities to ask questions, ask for directions, and ask any relevant information on your trip. You are also provided with a local back-up in most cases. The Cotswold Ring is a 7-day circular walking tour stretching over 55 miles into the heart of the area. The tour starts and ends at Cheltenham while passing through villages like Naunton, Bourton-on-the-Water and Guiting Power. The main landmark is, of course, the Windrush River. 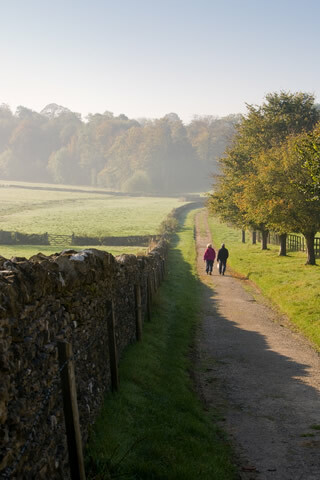 The Cotswold Way is a trail stretching 102 miles. Among the walking holidays in the Cotswolds, this is the must-do for travellers. The Cotswold Way walk begins in the market town of Chipping Camden,passes through Winchester and the Severn Valley and finishes at the Georgian City of Bath. Glorious countryside with high hills,wooded areas and swift flowing streams awaits the walkers as they thread their way through honey coloured villages,stately homes and bustling market towns. There are many welcoming wayside inns and pubs along the way to refresh one and to meet the friendly locals. Second, the guided walking tours are carefully planned to cater to specific interests like history, gardens, and arts and crafts. Of course, you have a professional tourist guide to take you through all the sites on the tour. No matter your choice in these walking holidays in the Cotswolds, you are assured of a great time in the embrace of Mother Nature while soaking up the history of the area.